There is an elegance and beauty when someone does one thing well, isn't there? 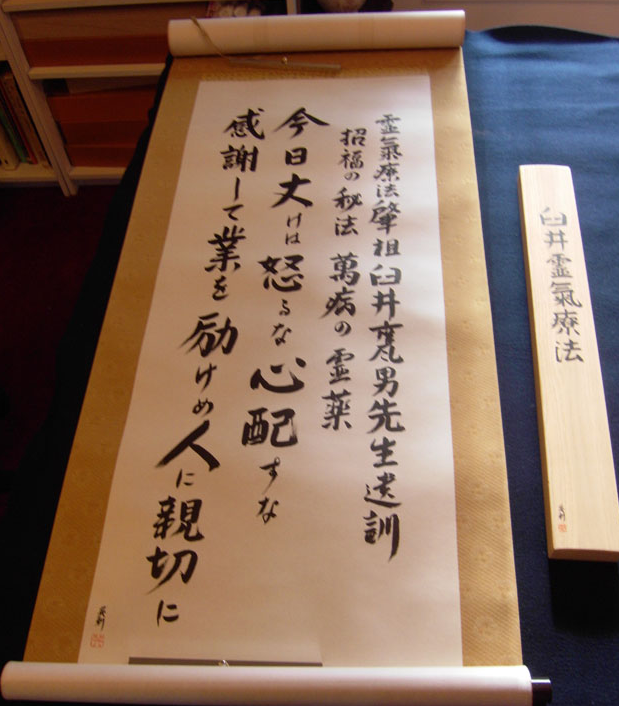 Years ago I sought out someone to create some Japanese calligraphy for me. I searched and searched the internet and came across Eri Takase. I looked over her work, and her videos, and was blown away by her elegance and mastery of her craft. No hype, no outlandish sales tactics, just beauty. And then there's Bob Kramer, master blade smith. There is a waiting list of at least 14 months just to buy one of his hand crafted, custom made knives. Beautiful creations from spending focused time, and hours and hours of practice. And Health and Fat Loss? Can we master fat loss, and optimal health? I think so. But it does take focus, discipline, education, and hours of practice and training. It also takes the ability to cut out distractions. Remove distractions. Focus on your goals. Be relentless. Don't let anyone or anything get in your way. Be consistent. Don't put off exercising, do it now.